Disney has been in the business of making sports movies for quite a while, but it’s only in the last fifteen years that they’ve ventured into what might be called the “prestige sports movie.” In the 1970s, the Mouse made such day camp favorites as The Love Bug series, The World’s Greatest Athlete, and Gus, about a field goal kicking mule. In the 1990s, they veered more toward kid-themed somehow-classics like The Mighty Ducks, Air Bud, and Angels in the Outfield (though Cool Runnings remains the best sports movie ever made by Disney). These movies survive on internet-fueled nostalgia, as most of the people who were nine when they came out now write for Buzzfeed. That changed first with 2000’s Remember the Titans, and then with 2002’s The Rookie, a modest hit based on a true story about a middle-aged nobody who finds out he has a 96 mph fastball. Since then, Disney has thrived on safe, family-friendly, inspirational “true” stories with all the complexity, competence, and celebration of a coach-pitch post-game speech. Similarly, you fully expect someone to pass out popsicles and juice boxes after the movie. 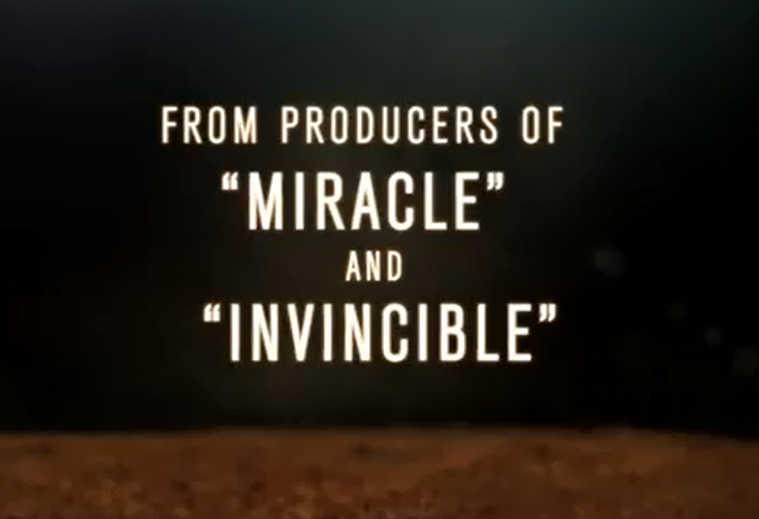 As the trailer for Million Dollar Arm reveals, these movies define themselves as celebrating sport at its purest, primarily through its presentation of professional sports as a place where inspiration happens. Every one of them deploys the underdog narrative in the exact same way, every one features an obligatory romance, and every one of them wants very badly to be “the next Hoosiers.” Since they all come with the glowing endorsement of the leagues that support them, they’re pretty much propaganda. Chances are if you’re watching a movie that features a St. Louis Cardinals logo, it’s because you’re watching exactly the kind of story that Major League Baseball wants you to see. You leave thinking that the NFL and MLB are the kind of benign institutions that their commercials suggest. They affirm all the values of Roger Goodell and his anxious marketing department, or otherwise they wouldn’t exist. I realize my cynicism is apparent, but it’s because I’m in mourning. With the exception of perhaps Moneyball, it’s been a while since we’ve seen the kind of sports movie the 70s were very good at making. Instead of seeing the individual or outsider assimilated by the system, the sports movies of the 1970s pit them against each other. The Longest Yard is my favorite of these, and one of my favorite movies of all time: Burt Reynolds, cooler than he’s ever been as Paul Crewe, first defies professional sports and then professional imprisonment. We get the sense that Crewe finds more value and community in the psychos and weirdoes he’s coaching than the organized sports that made him famous. Slap Shot might be even better, as besides being a very funny and foul movie, it’s essentially about the troubling relationship between players, owners, money, and communities. When Paul Newman’s minor-league hockey lifer Reggie Dunlop tells his team to beat the holy hell out of their opponents, it’s because he think he’s rebelling against the ownership who wants to sell the team. But when the team becomes a grand success, he’s actually just filling their coffers. Slap Shot also has the audacity to take aim at the fans, which extends the critique to the audience who watches it. You like this stuff? And yet, The Longest Yard and Slap Shot have a more intense love of sports than the Disney movies. As in Bull Durham, they’re usually filled with cynical lifers whose pure passion and love for the game keeps them going. A movie like North Dallas Forty wants to show how professional sports eats up and corrupts the players who live for it. The Bad News Bears does all this on the small scale of Little League, and I can’t think of a better representation of the distance between the “values” that sports are supposed to produce and the apparent joy of playing them. Even The Natural and Major League clashes players against the owners who want to sell them. What happened? I blame garbage that nobody wanted to watch like Oliver Stone’s Any Given Sunday or that ESPN show Playmakers that only wanted to sensationalize the most seedy and sordid aspects of professional sports. Along with my guilty pleasure featuring my favorite actor Anfernee Hardaway, Blue Chips, they sacrifice character and story for polemic. In the case of 90s films like Blue Chips and The Program, their messages were NCAA and ESPN approved from their logos to their explicit messages, showing cases of isolated rather than systemic corruption. Overblown, overpopulated, and full of speechifying, those movies aimed for the fences and hit into a broken-bat fielder’s choice. It was only natural to go the other way. But to close on a positive note, a recent antidote to the potential treacle of Million Dollar Arm is Sugar. Sugar follows the titular Dominican knuckleballer as he is transplanted to a Single-A team in Iowa. Even as Sugar shows its protagonist eaten up and spit out by a system that only cares about one of his arms, there’s still an obvious love for the sport he’s playing. And even though it puts a dark spin on the underdog narrative, it still possesses an optimism toward Sugar as a human. Unlike Million Dollar Arm, which promises to be yet another story of a virtuous white person who makes some kind of racial equality possible, Sugar puts an intense focus on its displaced, often hopelessly confused protagonist. 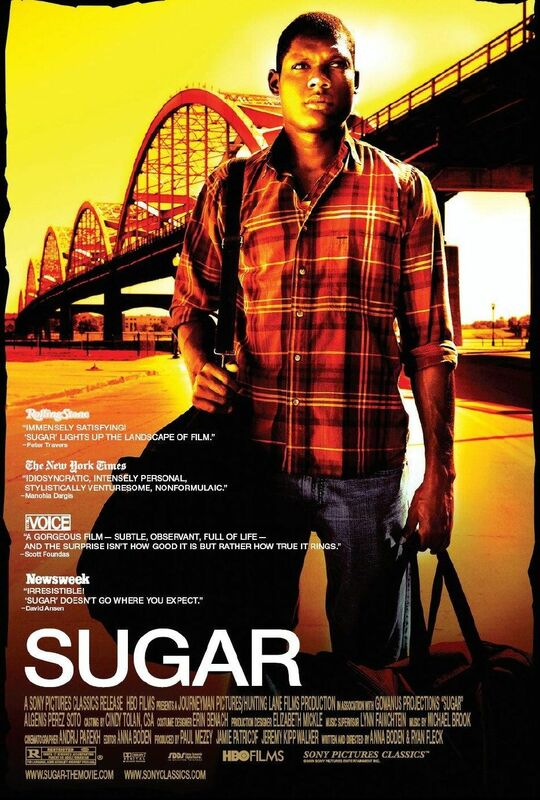 Even though it was one of the best movies of 2009, Sugar came and went with little attention; it had only a small release and then went quickly and quietly to DVD even though its directors had just made the Oscar-nominated Half Nelson. Because of all the trappings they have to recreate, sports movies are expensive to make, and therefore only the most audience-friendly are going to be made. Sadly, that’s a difficult model to upend.